On Saturday we will attempt to have a quiet afternoon in which our two granddaughters will decorate the tree I bought today. The tree is a nice one, very symmetrical and already our living room has the nice scent of the Pseudotsuga menziesii var. menziesii (a Douglas Fir to all those who might not know). I remember fondly and with lots of botanical ignorance on my part how the Christmas trees we purchased in Mexico City in the early 70s were advertized as “importados del Canadá”. Few would know that the most extensive variety of pine species is to be found in Mexico. Somehow in Spanish and particularly in some of these countries where Thuja plicata (Western Red Cedar) the Pseudotsuga menziessii and other conifers are alien and anything with a needle is simply a pino. These Canadian pinos must have been Pseudotsugas. If you must ask, the name Pseudotsuga tells us that a Douglas Fir is a quasi hemlock and the botanical name of the hemlock is Tsuga. I always buy our Christmas tree late in the season. Luckily I do not go to malls or have coffee at Starbucks so I am not yet tired of Christmas carols that I have yet to listen to. While Rosemary was stringing the lights on the tree today I wondered what would be the best music to do it by. In the end I chose my 50-year-old (1964) Argentine mono recording of the Swingle Singers. 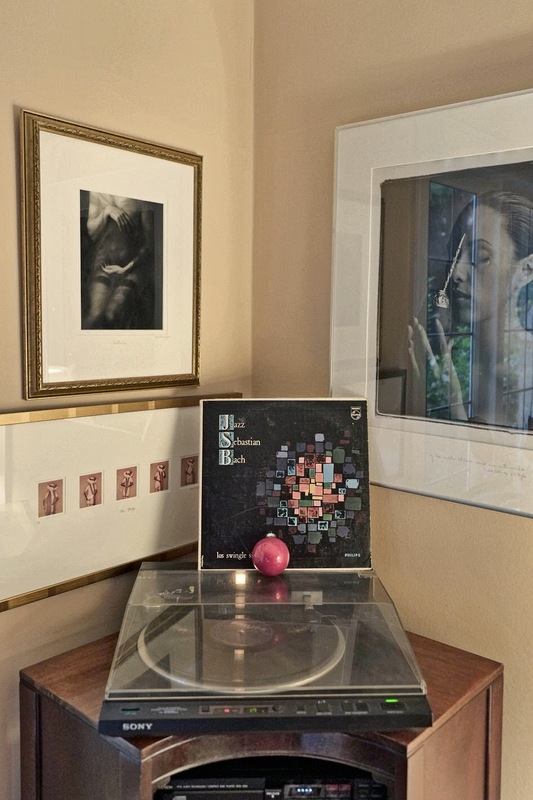 I was absolutely amazed on how a record that has traveled and been played in all sorts of unsophisticated turntables could possibly sound so good. 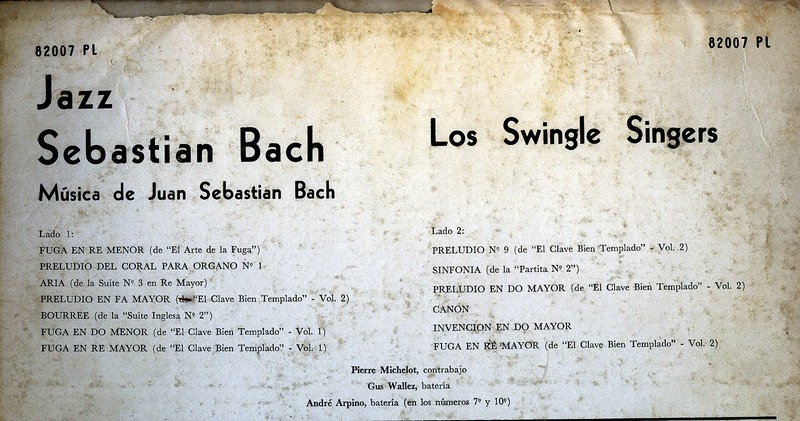 When I first heard the Swingle Singers that year I was ignorant on all things Bach. Now as I listened to it I could recognize the program as I have heard them all played with “conventional” instruments like baroque violins, violas da gamba and baroque timpani! And anybody wondering about that turntable in the photograph. It is a Sony PS-X555ES linear tracking machine. The cartridge is a Stanton 500MkII.